As I mentioned on Tuesday, I'm developing work for my Sienna solo show here in Iceland. One of the pieces I'm working on will be made with pearls, which I am completely taken with right now. I love their luminous quality and the many shapes they come in, but I also love them for the way they are formed. A pearl begins with some kind of irritant and, over time, layer upon layer of iridescent calcium carbonate builds up around this irritant as a defense mechanism. 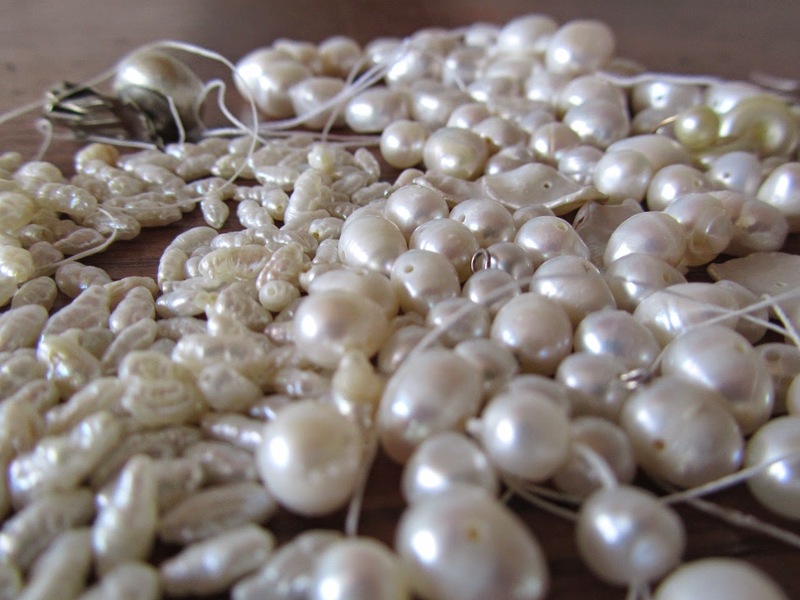 I see pearls as glorified callouses or scars, forms of protection. They also represent years of hard work and tenacity, and when complete, they are a rare, beautiful thing. I see pearls as a symbol of the experience of life. My pearl piece will be made using a variety of white and off-white pearls, both real and fake, round and natural, that I've been collecting for years. And this brings me to the most exciting part: I would also like to collect pearls from you. 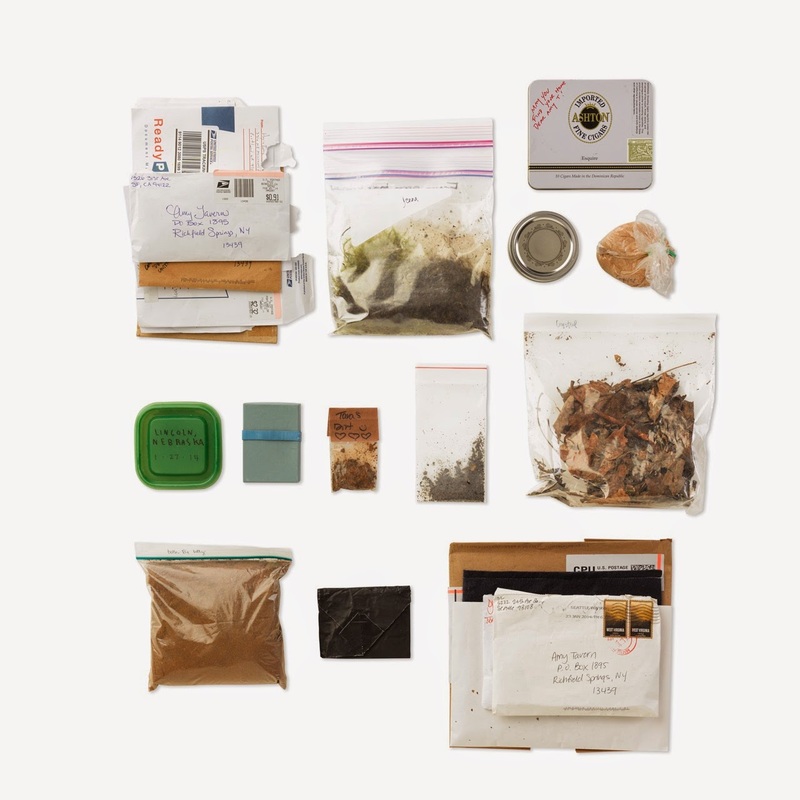 Last year I made the piece "We Walk on the Same Ground" for my exhibition "I Live Here Now" in which I asked my closest friends to send me dirt from where they live. I love the participatory aspect of this piece and I believe it makes it more compelling and personal. It's a combination of the experiences of dear friends and me. I would like to try this concept once again now by combining my own pearls with pearls from friends, family, colleagues, strangers, and people who like my work. I like the idea of the materials coming from a myriad of sources from places far and wide. 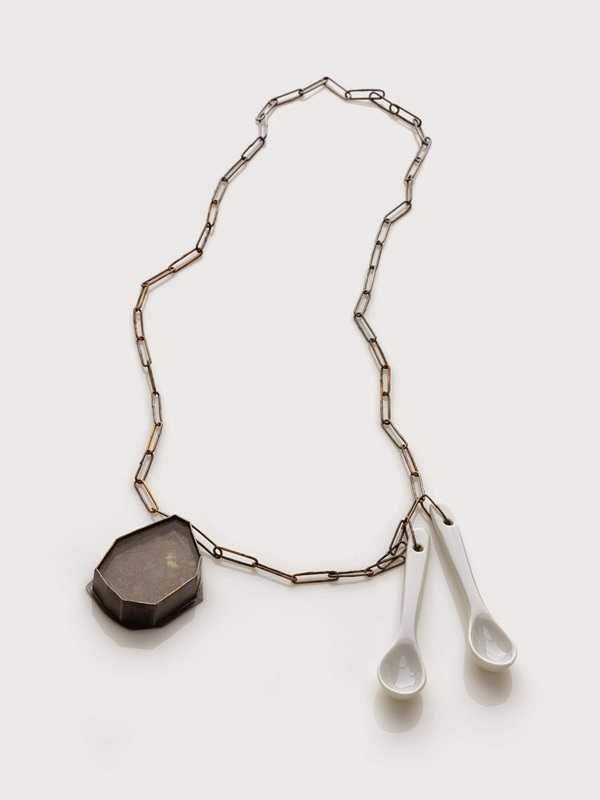 They will bring beautiful, complex layers to the work, and mimic the process of how a pearl itself forms. If you would like to participate please mail your pearl to me by March 4, 2015. I will return to my studio to make this piece shortly after that and will collect all the pearls then. If you have any questions, please feel free to email me at atavern@gmail.com. I do hope you will consider participating! I would love to be involved and will send a pearl or two tomorrow. I got your beautiful pearls! Thank you!